In 2016, Ukrainian business and foreign investors expected to see more nimble structural reforms in the Ukrainian economy, which would boost long-awaited fresh financing by the private sector. 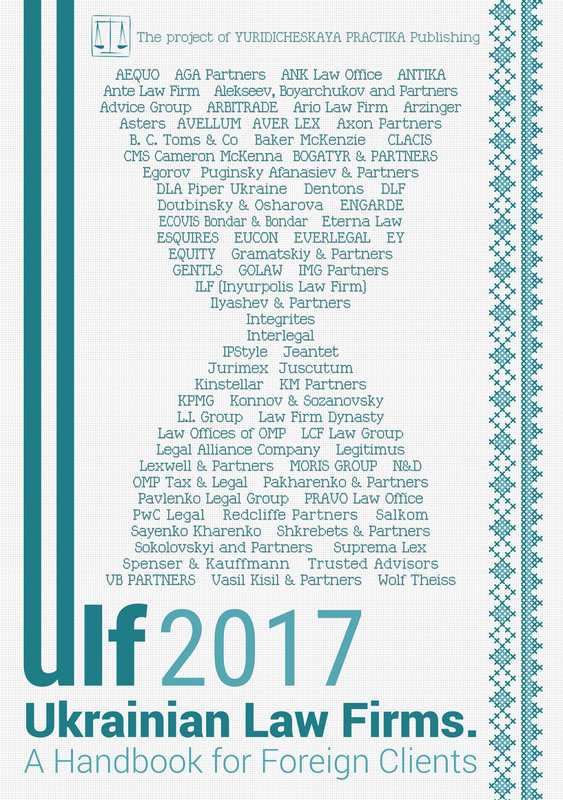 Nevertheless, some Ukrainian corporates managed to launch or even complete restructuring of their debt resting upon the sovereign and quasi-sovereign debt restructurings accomplished at the end of 2015 and beginning of 2016. From public sources, among Ukrainian-based companies, which were either involved in cross-border debt restructurings in 2016 or are still on the restructuring path are DTEK, Metinvest, Mriya and Ukrlandfarming. In this article, we will look at the restructuring efforts of some of the key players in the Ukrainian economy focusing on the main features of the recent debt restructurings and Ukrainian law driven transactional challenges in the restructuring process. The previous year began with a number of quasi-sovereign and sovereign-guaranteed debt restructurings. Ukrzaliznytsia reprofiled its debt under its Eurobonds by exchanging the outstanding loan participation notes into new notes. Yuzhnoye and Ukravtodor sovereign-guaranteed debt was exchanged into a combination of notes and GDP-linked securities issued by Ukraine. Meanwhile, corporate cross-border debt restructurings followed the English law scheme of arrangement route, which was paved in 2015 by DTEK, PrivatBank and Avangard. The beauty of the scheme of arrangement is in the possibility to cram down dissenting creditors. In other words, it allows to accomplish debt restructuring without consent from all the creditors. On its latest restructuring deal, DTEK once again resorted to the UK scheme of arrangement. This time, the scheme applied to all of its outstanding Eurobond debt and provided DTEK’s bank lenders an option to exchange their debt into the new notes, issued by DTEK as a result of the scheme. Similarly, Metinvest debt restructuring is being implemented through the scheme of arrangement. But unlike DTEK’s restructuring, it covers both bank and bond debt. Under the Metinvest scheme, the existing notes should be exchanged into the new notes and the existing bank debt should be consolidated into a single amended loan. Both DTEK and Metinvest debt restructurings included moratorium schemes and standstill agreements, which provided for temporary moratoriums on enforcement actions by the noteholders and banks, respectively, and thus, were necessary for effective negotiations with creditors. Recent debt restructurings generally involved financial instruments and transaction structures, which are standard for the deals governed by English law. Yet, some of them became more nuanced either due to the scope of debt restructuring or Ukrainian legal developments. In 2016, corporate debt restructurings were particularly complex given that they covered essentially all of the borrowers’ long-term debt and included both bond and bank debt, or allowed exchange of one instrument into another. Thus, the priority of creditors’ claims, sharing of payments as well as management and sharing of security, became more complicated. Among these issues, Ukrainian lawyers were particularly busy with security structuring. By way short background, in financing deals with multiple creditors that are governed by English law, security is often held in trust for the benefit of creditors (e.g., a syndicate of banks in case of bank lending or bondholders in case of Eurobond issuance). Given that civil law jurisdictions do not recognize the concept of security trust, financing documents often employ either parallel debt or a joint and several creditor structure, or a combination of both. Even though Ukrainian courts have had no say on the parallel debt yet, this concept continues to be regularly used in cross-border financing deals with a Ukrainian element. Additionally, recent cross-border debt restructurings were complemented with a number of security related features, which were previously not common for debt restructurings of Ukrainian businesses (save for a few exceptions). For example, Ukrainian law security was shared among different classes of creditors (i.e., bank lenders and bondholders). Given uncertainties under Ukrainian law as to whether different secured lenders can have an equal priority with respect to the same security, the security structures incorporated English law concept of a “common security agent” who held Ukrainian security covering both bank and bond debt. Moreover, Ukrainian law on security was not frequently used in previous Eurobonds issuances by Ukrainian business groups. In 2016, there was a notable development in Ukrainian court practice in relation to Eurobond transactions. The concept of trust was finally tested in a Ukrainian court. Typically, in Eurobond deals governed by English law, the bondholders have no direct contractual relationship with the issuer and guarantors/surety providers. Payment obligations of the latter are owed to the trustee acting in its own name in the interests of all the bondholders. Thus, the trustee is entitled to bring legal proceedings against the issuer and guarantors/surety providers. Although in Eurobond offerings, governed by English law, trust should not be considered from the Ukrainian law perspective, its application in the past created significant uncertainty in connection with the enforcement of Ukrainian suretyships in Ukrainian courts. A few months ago, the Ukrainian court recognised claims of the trustee against Ukrainian surety providers under Eurobond offerings. This court practice does not ensure that Ukrainian courts will consistently recognise claims of the trustee against Ukrainian obligors under Eurobonds in the future, yet it gives more comfort in case of default scenarios. Apart from the scale of the restructuring, some transactional challenges were brought by recent developments in Ukrainian corporate law, including changes in regulation of interested party transactions. Since May 2016, an affiliate of a joint stock company’s shareholder may be considered an interested party if the joint stock company and an affiliate of a joint stock company’s shareholder are parties to the same agreement. Considering that recent restructurings require a rather sophisticated documentation package (in terms of the substance and number of transaction documents) and involve multiple obligors within a particular group, these developments introduced some tweaks into the corporate authorisation process and structuring of the transaction documents. From the currency control perspective, the National Bank of Ukraine (the NBU) did not change the rules substantially. At the end of 2016, the NBU predictably extended temporary currency control restrictions, but this time for an indefinite period. Even though these temporary measures have been already factored into the debt restructurings, the restructuring process could be much more efficient but for the NBU restrictions. The intricacies of the restructuring process and uncertainties related to Ukrainian business and Ukrainian economy in general make some creditors sell their exposures to Ukrainian borrowers. Even though such transfers are done under standard English law documents, they often have to be supplemented with a number of steps due to Ukrainian currency control restrictions. Foreign financiers typically buy and sell claims under loans by means of the Loan Market Association trade confirmation. An existing lender and a new lender further sign a transfer certificate (or another instrument), which brings into effect the transfer of rights and obligations to the new lender. On top of that, the parties might need to conclude an amendment agreement to register a change of the lender with the NBU. However, recent changes to the registration of loan agreements with the NBU add more complexity to this process. Since the beginning of 2016, in case of assignment of the lender’s claims, the NBU and a servicing bank must look at, among other things, an economic rationale behind the transaction and can require additional documents for these purposes. Further uncertainties with the NBU registration arise when domestic loans to Ukrainian business groups are included into the scope of the cross-border debt restructuring and need to be assigned to a foreign entity. Another issue foreign lenders often need to handle is the borrower’s failure to register amendments (including change of the lender) with the NBU. Under the existing NBU registration rules, only the borrower can initiate registration of the loan agreement as well as changes to the loan agreement. Thus, in the absence of the borrower’s cooperation, the sale of loans extended to Ukrainian borrowers may not be practicable, given that change of the lender is subject to registration with the NBU. Overall, Ukrainian business continues to make significant efforts to restructure its existing debt as well as to raise new financing. Notably, Kernel successfully completed its debut Eurobond issue at the beginning of 2017. Nevertheless, Government support in the form of decisive structural reforms and consistent currency control liberalisation would significantly improve financing options for Ukrainian business.